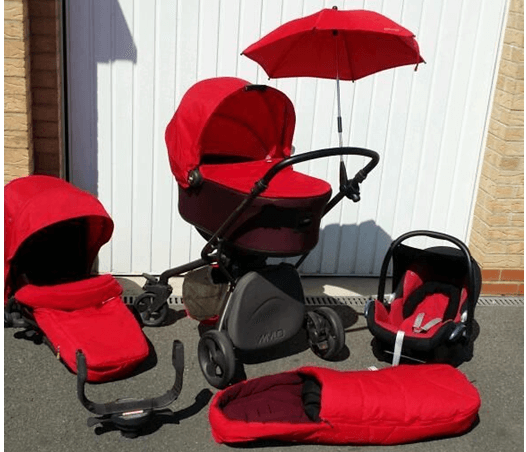 Sometimes you just need all in one stroller which should be a complete package for your baby, Mamas & Papas Mylo2 Stroller is a luxuries & stylish stroller with reversible seat ,strong wheels ,easy to fold & comfortable seat .you can get carrycot & car seat which will be use full for travelling purpose. It rolls on 4 wheels; the tires are very smooth to ride. The back wheels are 23cms and the lockable front wheels are 17cms, this stroller very good for urban life style as well it can be roll on harsh surface. 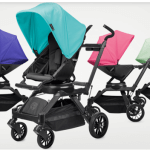 Braking system is very easy ,you can control the stroller with the buttons which is placed near the right rear wheel where it’s an red button for stop and green button for go. The canopy is a beautifully unique shape and large. It has one peekaboo window which is really good for summer, when you expect air circulation from top of the canopy. 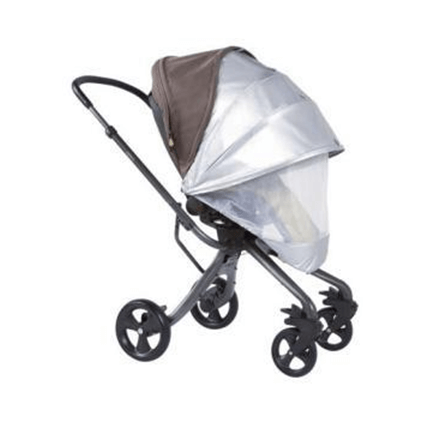 Because of the size of the canopy you baby will be protective by the harsh weather. The paddles on the underside of the seat can be squeezed to remove it and turn it round,so you can choose the recline position whether it should be forward or rear facing. 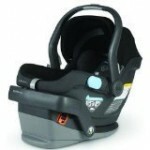 It has 4 recline position up to 90 degree to give comfort to baby according to his need. You can use the rain cover to cover the seat for the protection of baby in raining season. 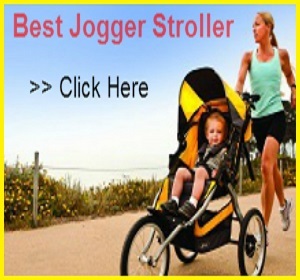 Read More – Best Jogging Strollers – Best & Top Running Strollers Reviews..
Obviously you are expecting something regarding folding the stroller in “Mamas & papas mylo 2 reviews” well fold is very easy as you can fold it with or without the seat. You just need to push the lever by your hand which is situated on the both sides of the seat near to wheels, after twisting it will fold automatically. 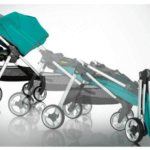 The chassis are very elegant; the handle extends from 99cms to 109cms so it will be very easy to handle the stroller according to your convenience. The five point harness system with buckle makes your baby ride smooth & safe. There is one bumper bar which is leather covered & you can remove it if you want but it is very comfortable to hold on. The storage basket is quite large which is situated under the seat area & it is very easy to access. 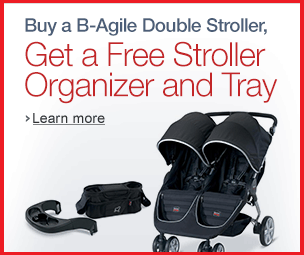 You can easily put your stuff into the basket as well as baby diaper, food, toys etc. but is not made for grocery shopping. Unfortunately there is no cup holder included but you can buy it separately & fix it .or there is no extra pockets for storage. 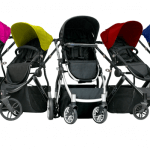 The Mylo travel system is now available in Black Jack/Sandcastle, Welly Green/Lime Jelly, Plum pudding/Raspberry ripple, Dove Grey/Sandcastle, Black Jack/Lime Jelly and Black Jack. 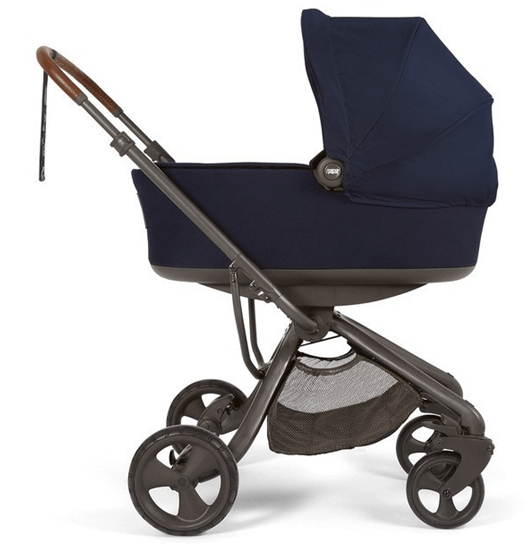 The seat unit is molded plastic with a microfiber seat pad which is very comfortable & safe for the baby skin. & it is very easy to wash & clean. 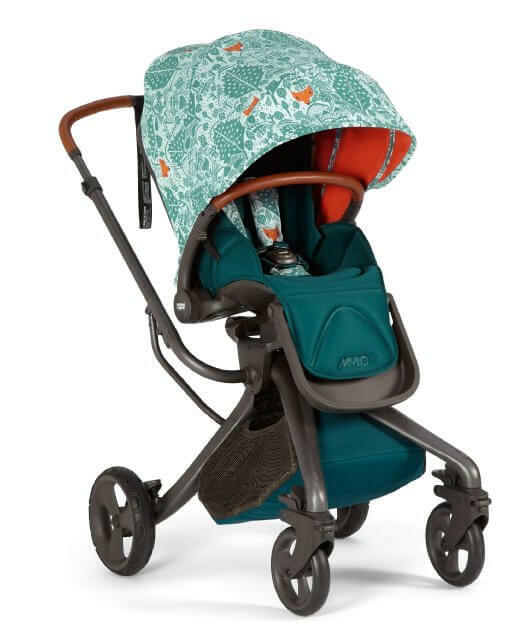 With very few cons & lots of pros you can find this “Mamas & papas mylo 2 reviews” positive & favorable to buy “Mamas & papas mylo” comfortable seat .all terrain wheels ,large canopy & attractive luxury looks makes you sure for the safety & happy ride for your baby . 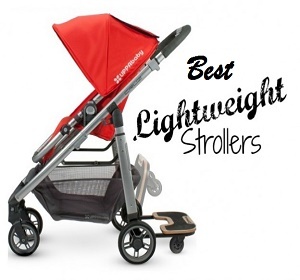 According to the price the features are perfectly blend a standard stroller. 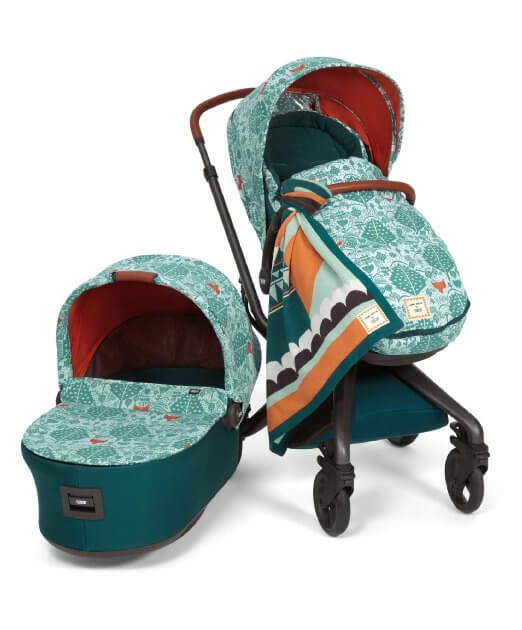 As compare to other stroller this mylo travel system stroller is never the less compatible at all especially if you talk about quality. So why to think? Just go for it & give a awesome ride to your baby.